← “From Om To Ek Onkar” – Bhawna Malik’s article on “Gurmat College” in “Life Positive” Magazine. 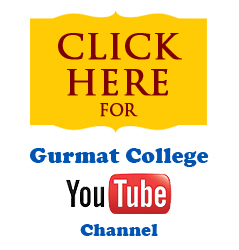 ‎”Gurmat atey Maa-Boli taun bemukh hunde naujwaan varg nu Virsey atey Gurmat naal jodhan da suhird uprala : Gurmat College, Delhi”. 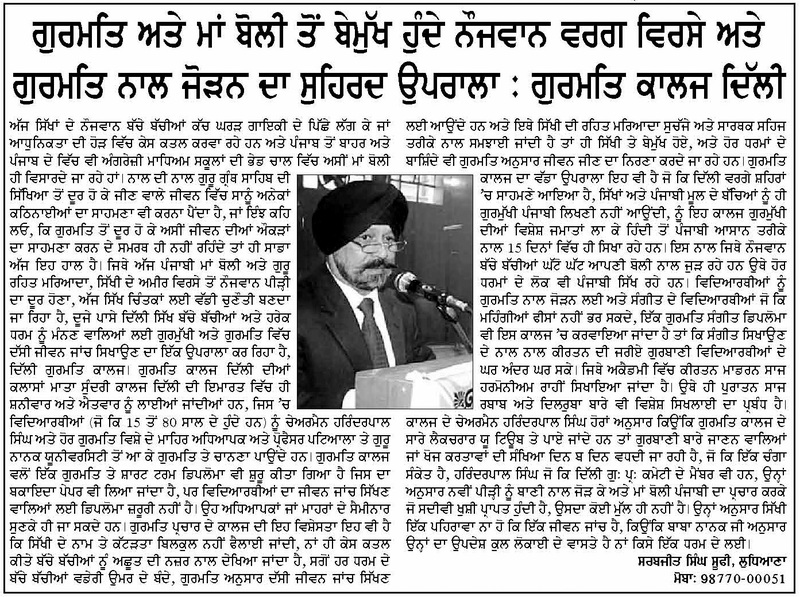 This is the heading of an Article on GURMAT COLLEGE and its SHORT-TERM GURU GRANTH SAHIB STUDY COURSE by Sarbjeet Singh, published on 22nd November 2011 in Leading Punjabi Daily Newspaper “PEHREDAAR” on Page 4.